I have always allied myself to the Labour party and I am not about to change. I must admit, I was a Millifan during the run up to the last election and I foolishly hoped that Ed would have what it would takes to become our Prime Minister. I saw Ed speak at a Fabian Society conference and I was very impressed by the depth of his knowledge and arguments and even the warmth of his delivery. Ed is a thinker, a pragmatist and he has integrity: I also hoped he would had the the capacity to inspire trust in him and in Labour, but it was not to be. Jeremy, on the other hand, despite the majority vote of Labour members and so-called ‘£3 supporters’ that catapulted him to a victory no-one predicted, and despite the number of Labour members who think he is doing well, does not strike me as the right man for the job. I do agree with him to a great extent on the subject of the war in Syria. I am against any air strikes which even run the risk of killing civilians; I am concerned about reprisals and escalation and so much can go wrong if Syria implodes. However, Jeremy Corbyn has left his party open to ridicule by occupying a hard left position and by making so many unforced errors. These began from the first moment: his botched shadow cabinet reshuffle was followed hard upon by unwise comments about ‘Jihadi John’ and shoot-to-kill, his general disdain for relations with the media, his shadow cabinet allies waving Mao’s Little Red Book, and his attempt to hoodwink the shadow cabinet over Syria have all damaged public perception of Labour and morale amongst Labour MPs. Of course, you might not care what the right-wing press says about Jeremy Corbyn. It is their job to offer opinions which are antithetical to, even to parody and lambast, the Labour party. But ‘Jez’ is serving it up to them on a plate: the biggest problem I have with JC is I don’t believe he is the saviour many people are investing in. The burning question concerns his potential electability – whether he can win the next General Election in 2020. Having joined the Labour party again after this year’s Election loss, I found choosing who to vote for to be the new Labour leader very difficult. It was easier to find candidates I didn’t want to vote for – there were, to be honest, four of them – and my criteria for selection was entirely based on which candidate could win the next election. More important to me than adhering to my anti-war principles or finding a candidate in tune with the far leftism that I clung to as a student (imagine me in my anti-apartheid t-shirt and my CND badge) was to find a candidate who could defeat the Tories, the kind of candidate who might roll back some of the worst excesses of the last five and a half years of Tory government – the bedroom tax, the relentless chipping away at the rights of disabled people and workers, the hike in tuition fees, and so on ad nauseam. 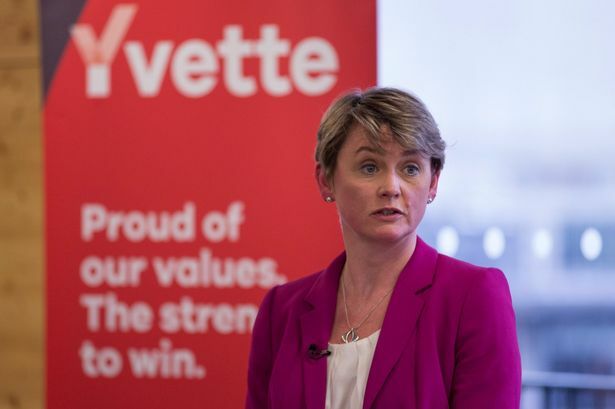 I voted for Yvette because I thought she was the closest fit. Of course, we can’t deny Jeremy his overwhelming victory. He has a benign persona, bordering on avuncular. But for all those people who will say he is a calm man who loves to debate issues within his party, there are many more who will say he has no leadership or charisma. So, on the subject of leadership, let’s look at his voters and, specifically, the ones who laud him as leader. I know lots of ‘Corbynites’ amongst my friends. I watched their glee and relief as Corbyn was elected and how I wish I could share their optimism. One group of Corbyn voters includes my dear friends in the north. The city of Liverpool was bequeathed a fate of managed decline by Thatcherites and certainly there is much poverty and the Labour party are the only party who can stop austerity and bring about change. I can see why they have put their faith in JC. My good friends in the South are passionate Labour voters who shared the hard left ideology of Tony Benn and, to them, Jeremy Corbyn is putting the party back on the proper political path, from which it strayed under Blair. Many young people I know and respect, bright and hopeful, see Jez as a way out of the uncaring social policies of the Tories. They have, quite rightly, identified Cameron as the leader they don’t want: George Osborne, Theresa May and Boris Johnson are, God forbid, waiting in the wings as well, so it is no wonder they place their faith in Jeremy. Sadly, I believe – and the evidence shows – he is unelectable. Jeremy Corbyn’s Labour party is consistently behind in the polls. Even Ed, who was eventually delivered a thumping defeat by the electorate, led in the polls for most of his leadership. One recent ComRes poll put Labour 15 points behind the Tories, a result that would be real wipeout territory for Labour come 2020. The same poll showed that nearly “three in five say they don’t trust Jeremy Corbyn to keep them and their family safe”. There is, perhaps, only one more thing fundamental to the potential of a party of government than being trusted with the economy, which Labour isn’t and hasn’t been since the banking crash of 2008. That is being trusted to keep people safe. If Corbyn and his team can’t reassure voters very quickly – since political first impressions shape so much of how a leader is perceived – then he is doomed to failure. The supplementary question is just how far he drags his party down with him. As a example of where Labour is going wrong, let’s look at the three party conferences this year. Tim Farron, promoting himself well as a good, caring, Christian man, presented his Liberal Democrat party as a plausible alternative to his two competitors. He said he intended to stake a claim on the centre ground of politics in the wake of Jeremy Corbyn’s election as Labour leader. There is a worry in itself. Labour’s conference was all about Corbyn’s potential to take his party into the next election. Suzanne Moore of the Guardian suggested that ‘his “kinder” politics feel like a slow-motion punch in the face.’ Tom Watson called the Tories the Nasty Party and the conference came across as demonstrating a kind of in-house narcissism where jubilant Labour supporters were basking in the election of a new leader, but divisions in the party had already started to manifest themselves and there was no clear plan about how exactly Mr Corbyn was going to take on the Tories. Then came the Tory party conference; smooth, smug and firmly united. Whereas Corbyn spoke to the room, Cameron, Osborne, Johnson and their acolytes delivered – I hate to say it – rallying speeches to the country. These speeches were on-trend, resonant, policy-crammed, and occasionally witty, already grasping the opportunity to shovel up millions of centrist voters now abandoned as Labour cements its doomed, frenzied lurch to the left. Cameron’s anti-Corbyn speech hit the country in the soft belly of their fears of terrorism, as JC was presented as a danger to public safety. I do not agree with Cameron and their conference did not strike any chord with me. May’s anti-immigration speech made me shudder and I shuddered again when Johnson called the Labour Left ‘tankies and trots.’ But Corbyn and co. have willingly supplied the Tories with this ammunition. The loaded volley should come as no surprise. My friends in the North and South and a huge handful of good, well-meaning, intelligent youngsters, and I, will all vote Labour as, for us, the alternative is unthinkable: another five years of Tory government from 2020 under God-knows-who, in which we hear the same old misbegotten whingeing about trying to put right the deficit created by Labour and how we’re all in it together, while all the time they continue to tear holes in the safety net and make us less prosperous and free. The scaremongering and the austerity and the huge divide between rich and poor will undoubtedly increase even further under yet another Tory government. But, hasn’t Labour party membership doubled under Corbyn? Many of us joined again because we want greater equality and less poverty as a primary focus. My fear is that Corbyn has already divided and scarred the party, and that he does not have the policies, the hardheaded, pragmatic political nous, the charisma or – worse – even the desire to defeat the Tories. It certainly seems to me that at the heart of Corbyn’s project is a culture change within the Labour Party, not ridding the country of Tory government. He is ploughing his hard left furrow. And it is this ditch which will ultimately divide the Labour party: it has already begun. Labour voters who are not of his persuasion, and Labour MPs whose views differ radically, are not going to hang around and hope that a stubborn leader and his self- congratulating cronies can magically pull off victory against the polished, professional and policy-led Bullingdon permanents in the Tory party. Comedian Robert Webb has cancelled his Labour membership and many other moderates are following his example. Corbyn may be thrilling his new fans but to so much of the rest of the world he appears a garbling figure of fun who is leading a party estranged with itself, crammed with internal opposition and confusion. The abyss is opening and the Labour Party is teetering at the edge, peering down with anxious expressions, wondering how wide and deep it can yawn before the inevitable descent of our newly-elected leader. I hope I’m wrong. I fear I’m not. Olham West was a safe seat. Let’s see a Tory marginal.